share it with the youth of the parish? 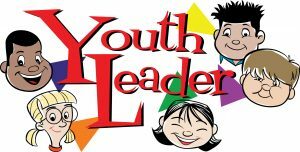 Youth Ministry is welcoming new volunteers to help with our Edge Middle School Youth Group on Wednesday nights, as well as one Confirmation Small Group Leader to lead a group of young men on Wednesday evenings. Leaders should be confirmed, practicing Catholics, but there is no age limit! No experience necessary, just a desire to journey with young people as you both grow in your faith. Contact Youth Minister, Michelle Boris, for details: mboris@ourladyofthelake.com. For those who would like to be involved in another way, please consider spending time in prayer for the youth of the parish. Thanks!